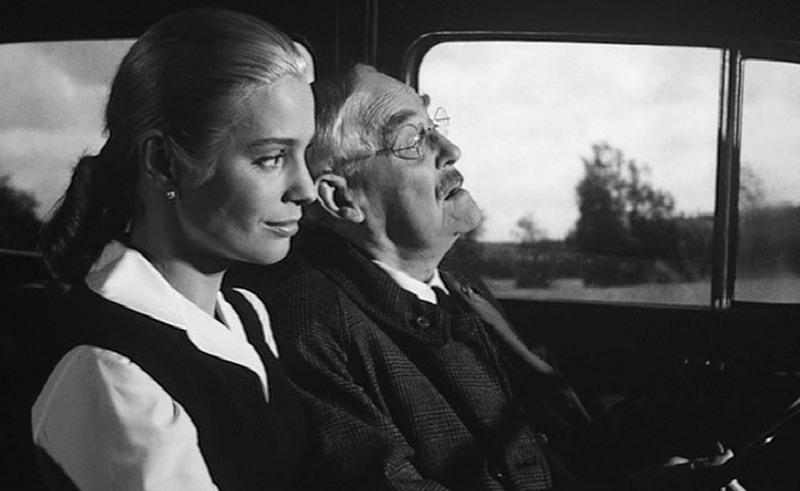 The elderly Dr. Isak Borg (Victor Sjöström, right) and his daughter-in-law Marianne (Ingrid Thulin, left) on the trip of their lives. With nine Academy Award nominations, the Swedish son of a priest Ingmar Bergman is both among most successful European filmmakers and among the most renowned directors never to take home one of the prestigious golden trophies. Three of his movies won Oscars as Best Foreign Films, The Virgin Spring, Through A Glass Darkly, and the epic Fanny & Alexander, but Bergman himself always went home empty-handed. He received his first nod for the original screenplay for Wild Strawberries, and the 1957 drama still stands out as one of his finest ever among the many works in the director’s long career. 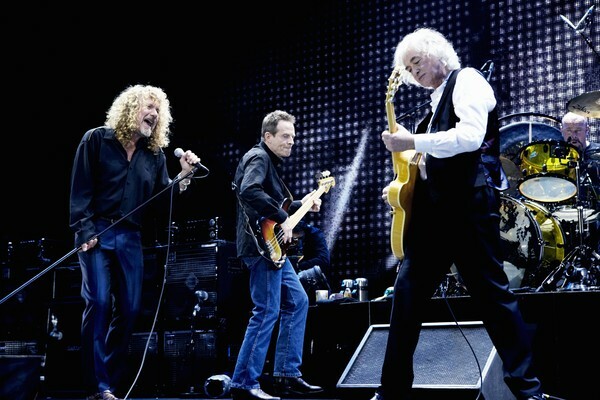 Singer Robert Plant (left), bass player John Paul Jones (center), and guitarist Jimmy Page (right) reunited on stage for the first time in about two decades. The lights go out in the theater and footage from days long gone appears – memories from a time when rock giants still existed. In the opening seconds of their new concert film Celebration Day, we watch Led Zeppelin hop on and off a private jet during their 1973 American tour. Now the band has returned to the silver screen for the first time in over 35 years, and the first thing we see establishes a direct connection to The Song Remains The Same. 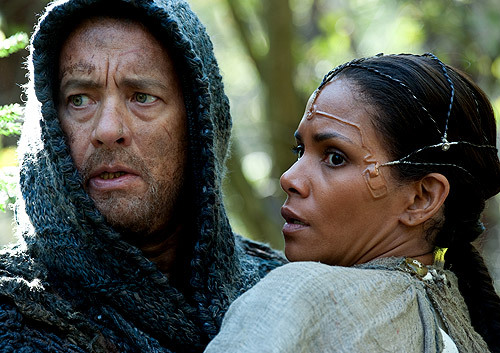 Zachry (Tom Hanks) and Meronym (Halle Berry) in the post-apocalyptic section of Cloud Atlas. A big-budget independent movie based on a novel considered to be ‘unfilmable’ – that sounds like a recipe for disaster, doesn’t it? Three renowned directors still made the daring choice to tackle David Mitchell’s 2004 book Cloud Atlas. They hired an international all-star cast consisting of the likes of Tom Hanks, Halle Berry, Jim Broadbent, Hugo Weaving, Jim Sturgess, Ben Whishaw, James D’Arcy, David Gyasi, Keith David, and Hugh Grant and went to work. Has their expensive experiment been a success or a big-time failure? To the sounds of energetic percussive music, James Bond tracks down a villain on the Grand Bazaar in Istanbul. All of a sudden, a Jeep manned by a female British agent picks him up. 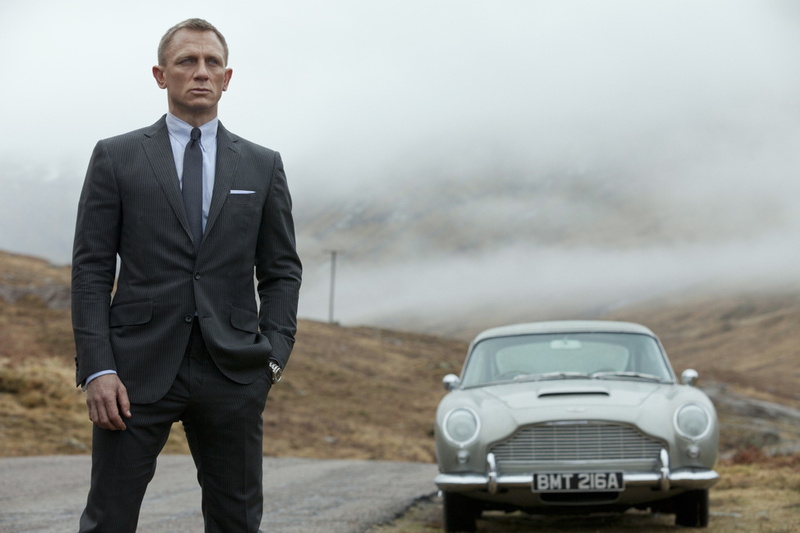 Mere moments later, 007 has already become involved in a motorbike chase over the rooftops along the marketplace. He lands on top of a train and tries to retrieve a very important stolen list from the baddie. ‘M,’ listening in over the radio, has qualms that her super spy might fail her. While he is in a fistfight with the enemy, she orders the female agent to shoot at Bond from a distance. The woman hits 007. He falls off a bridge and down a waterfall.